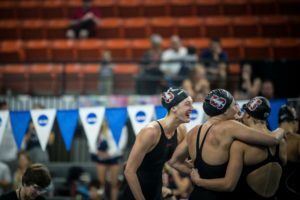 The Stanford University women have clinched their third-straight team NCAA Championship title after placing second, fifth, and tenth in the 200 fly Saturday night in Austin. 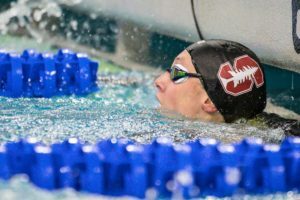 Unlike 2018’s blowout meet, the Cardinal were down 28.5 points to Cal heading into the final day of competition, but were set up well to come back strong on Saturday. 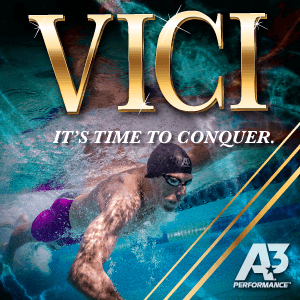 They qualified five swimmers to A-finals and five to B-finals (Cal had three and three) in prelims, and those swimmers got the job done this evening, mathematically eliminating Cal from title contention before the 400 free relay. Stanford will get four points from diving with Daria Lenz‘s fifth-place consols finish, and Cal will get zero. That gives Stanford a 45.5 point lead heading into the relay, which means even a Stanford DQ and a Cal win would result in a win for Stanford. 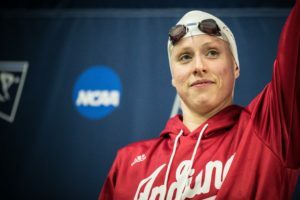 Stanford had cut Cal’s lead in half by the end of the 1650, then reclaimed the lead after the 100 free and never looked back. 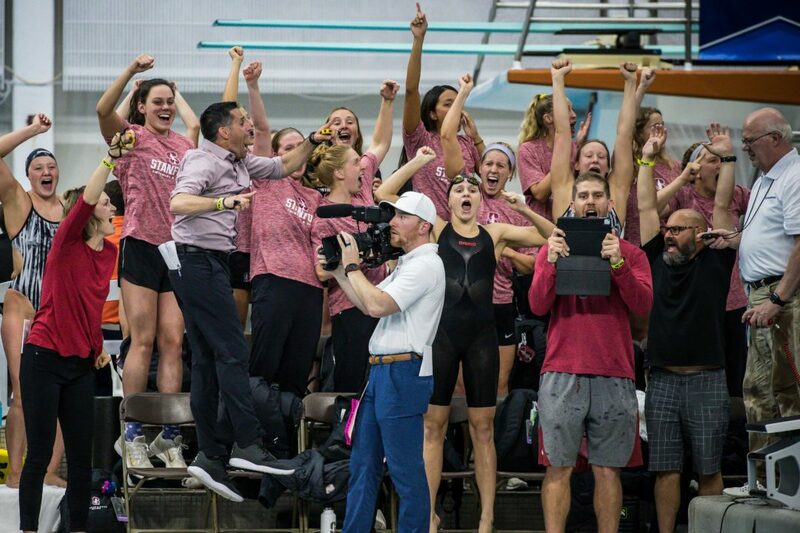 Led by head coach Greg Meehan, Stanford becomes the first women’s team to win in three consecutive seasons since David Marsh‘s Auburn squad did it in 2002, 2003, and 2004. Jack Bauerle‘s Georgia team did it in the three years prior. 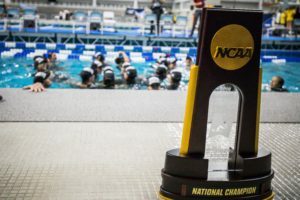 Under coach Richard Quick, the Cardinal went on a five-year streak from 1992-1996, and before that, Quick’s Texas team went on the first winning streak in NCAA women’s swimming from 1984-1988. Congratulations Stanford! Well done ladies and all the coaches! It was stanford’s meet to lose. It would have been a different meet hadn’t Abbey injured herself. Great meet for Cal. Way to go!! Stanford Better watch Out next year. It would not have been a different meet. She lost maybe 6 points individually on the 100 and their relay still won. Actually it wouldn’t have been a different meet. 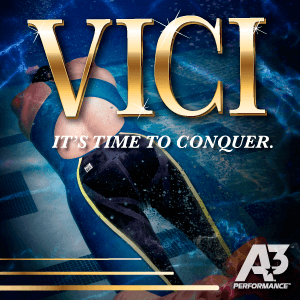 She injured herself with two sessions left, her relay still won, and she got 4th in the 100 free. Maybe would’ve been about 4 points different but Stanford would still have won. 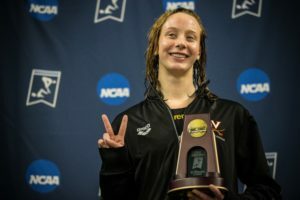 Torrey, you forgot to mention Stanford’s Katie Drabot, who was 5th in the 200 fly A Final.